FSX and P3D Gauge Creation Tutorial Rev.38 Not for non-programmers but can be used by non-C programmers. New major topic on how P3D and FSX treat colours and bitmaps in the simulator. See the Revision List for the most important updates. FOR PROGRAMMING C-LANGUAGE GAUGES ONLY. Dai Griffiths, Dragonflight Design. This mod is an object library of extension pieces for the default Jetway. There are 7 objects in total; 5 different sizes of extension bridge, 1 support column, and the last object is a 90° Elbow joint. These objects are best used when the terminal building is a good distance away from the jetway itself and you need something to bridge the gap. Instructions on adding this object library to Airport Design Editor and a guide on how to use them are included. This objects library uses the textures for the default jetway so everything you need is included with this download. Feel free to use this object library in your own scenery work. Intended for FSX, should also work with P3D. This is a paint-kit for the New FSXBA Hornet 2014. I have remodeled it from the original texture for my own use so is have my personal annotation. This paint kit have two versions I have used to paints in some different layouts that was easiest to use in two versions to economizing PC system. It great stuff and is 100% freeware, of course will be grateful if you add the author name in your publications. This paint kit has made with corel PHOTO-PAINT and after saving the the files in .psd some layers effect maybe has back to default and you will have to work that effect transparences or other effects. Paint kit for the Northrop P-61C Black Widow and Northrop RF-61C Reporter by DC Designs. Instructions included. Files saved in .xcf format ( GIMP ) but easy to convert to .PSD files if required. 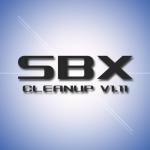 This is a stand-alone update for SBuilderX Cleanup. It includes all previous updates. This new version removes the already cleaned message as it didn't function as expected. // This is a simple batch file that I created to clean up the unnecessary files and folders that SBuilderX stores on your computer after using the tile server. This is a very powerful file if you have limited hard drive space. See the included readme for more details. Airport Design Editor (ADE) is a graphical design tool to create and enhance airports for Microsoft Flight Simulators 9 and X. It takes it's inspiration from the excellent AFCAD2 developed for FS9 by Lee Swordy. ADE does for FS9 and FSX what AFCAD does for FS9. It adds support for new FSX features such as fences, jetways and terrain. Users can also remove, move, or edit existing buildings and objects as well as adding new ones In addition to airport elements ADE also has a visual Approach Editor to add and enhance the approaches to your airports ADE is being developed with the help of a small group of dedicated airport designers with a wealth of knowledge and experience. ADE sets out to achieve two things in designing and enhancing airports. First to make the enhanced airport look good, and second to make it work properly. Airport design must address both aspects - the visible and the invisible. The design philosophy goes further in assisting users of all levels to get things right from the start. Error checking and 'common sense' are built in. At the same time it is important to allow users flexibility. 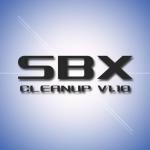 This is a stand-alone update for SBuilderX Cleanup. It includes all previous updates. This new version reworks scripting to remove error messages that occurred when a folder didn't exist. // This is a simple batch file that I created to clean up the unnecessary files and folders that SBuilderX stores on your computer after using the tile server. This is a very powerful file if you have limited hard drive space. See the included readme for more details. Introducing my second scenery objects library for the enjoyment of the Sim community. There are a variety of buildings which I am sure will be to you. MY usual thanks to Peter Broom for checking out the models before publishing and of course the author’s for their books that I referenced to ensure I got my models reasonably accurate, British Military Airfield Architecture by Paul Francis and Graham Buchan Innes and his British Airfield Buildings Vols 1 & 2.